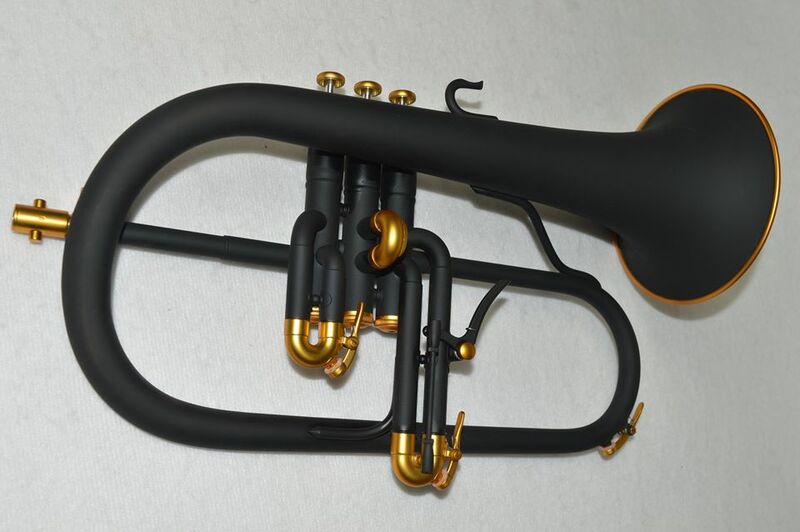 This is my wonderful custom Flugelhorn from Eclipse UK, a small brass instrument manufacturer based in Luton. 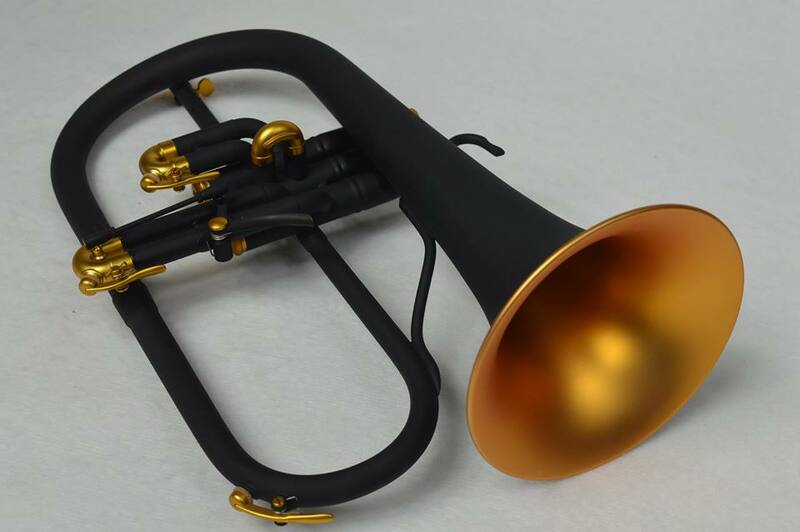 The flugel is finished in matt black with matt gold lacquer highlights on the inside bell, valve caps, slides and tuning crook. It has a beautiful dark tone and great intonation even in that awkward low register around bottom C#. 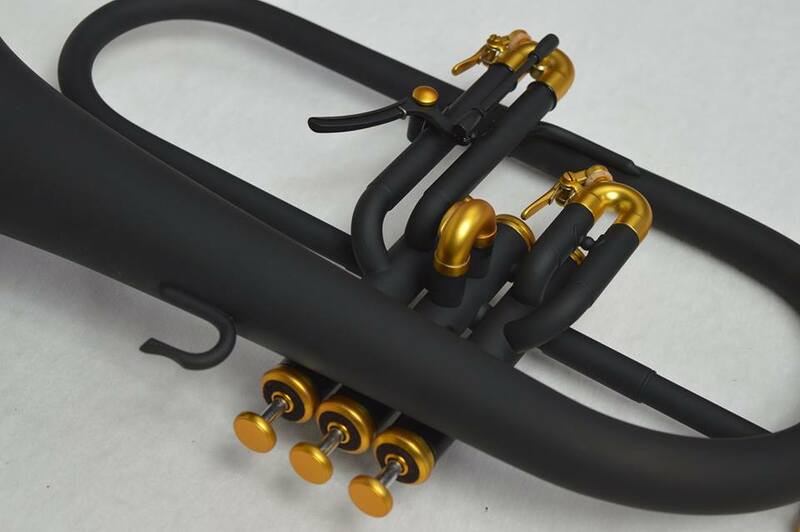 I have a bit of a fetish for coloured horns and while they aren’t to everyone’s taste, most people would have a hard time arguing that they don’t draw the eye. Up close, in particular, the finish is stunning. The valves are also very satisfying as they offer just the right amount of spring and smoothness. All images courtesy of Leigh Mckinney at Eclipse trumpets. Used with permission. Cheers, Leigh! 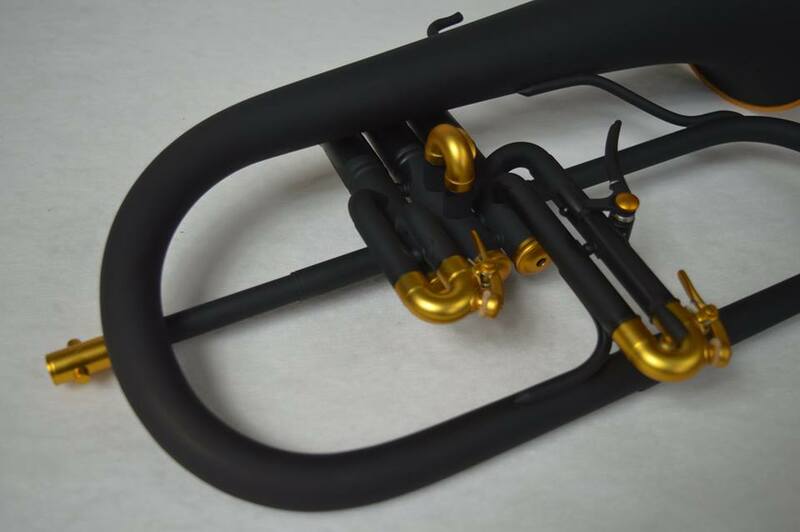 Visit http://www.eclipsetrumpets.com to find out more about Eclipse instruments.